This is one of a series of short articles about ferns in Belfast Botanic Gardens, compiled by members of the Friends group (FoBBG). The Killarney fern is one of the filmy ferns, a group of delicate plants restricted to very moist conditions. 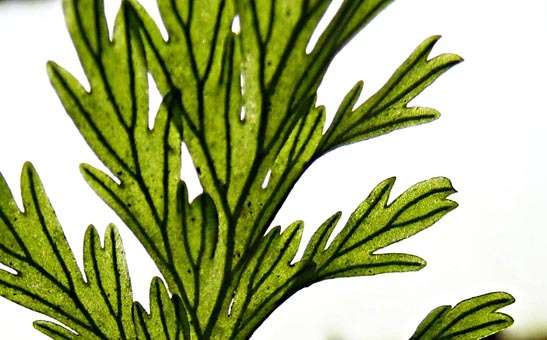 There are some 350 species of Trichomanes of which the Killarney fern is the only one native to the British Isles; the rest are mostly tropical and epiphytic, typically growing on the trunks of trees in tropical rain-forests. Description Leaves 8-25cm long with a long wiry stalk growing out of a black scaly rhizome. 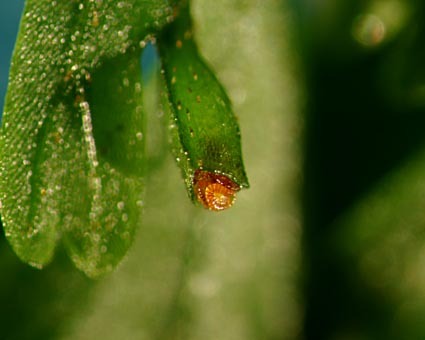 The blade is repeatedly divided with the margins of the segments untoothed (Photo 1). 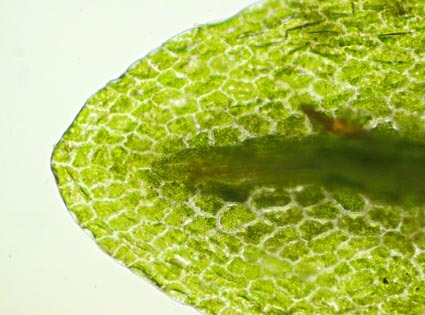 The leaves are mostly one cell thick and translucent except along the midrib. 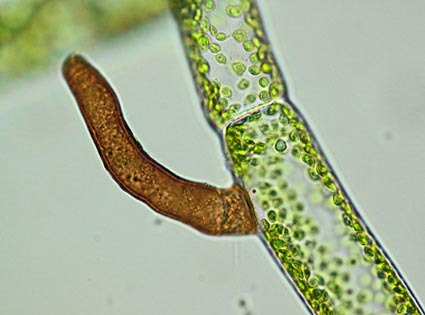 Spores are produced in sporangia in a flask-shaped sorus with a distinct bristle which persists after the spores are shed (Photo 2). 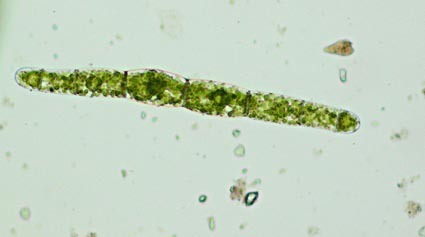 The gametophyte stage of the life-cycle is filamentous. 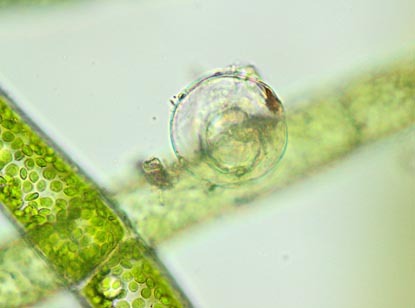 As well as producing the male and female gametes that lead to a new sporophyte plant, the gametophyte produces asexual gemmae that will grow into more gametophyte plants. 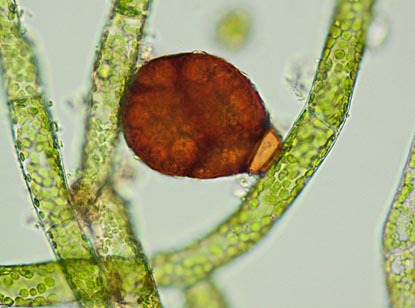 The gametophyte plant can remain sterile and spread and multiply by the gemmae. 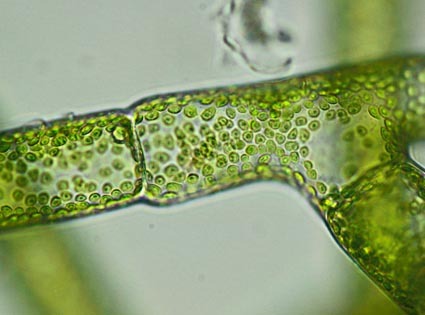 The gametophyte plant is more common in the wild than the sporophyte and can easily be mistaken for an alga. Habitat Beside waterfalls, in crevices between boulders, under overhanging rocks and other shady, damp, sheltered situations. In Ireland the Killarney fern has been largely exterminated by enthusiastic fern collectors, but a few small wild populations do survive. The Killarney fern in Belfast Botanic Gardens For a long time a population of the Killarney fern has been maintained in the Tropical Ravine. It may indeed have been in the original Fern House that pre-dated the construction of the Ravine by Charles McKimm in 1889. It was certainly thriving in 1897 when it was described in the Belfast Newsletter as "the largest breadth of it that most of the company had seen", 'the company' being a group of visitors from 'Southern Counties' that had been invited to the Botanic Gardens. (see our Fern History page for the full quotation.) 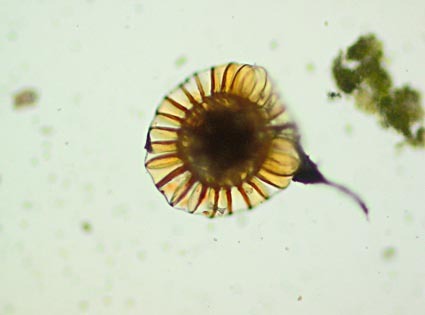 As the wild populations have dwindled both from habitat loss and from collection, the conservation of the Belfast Botanic Gardens specimens becomes increasingly important. Much care and thought has gone into the preservation of this population during the building work for the current Ravine restoration. 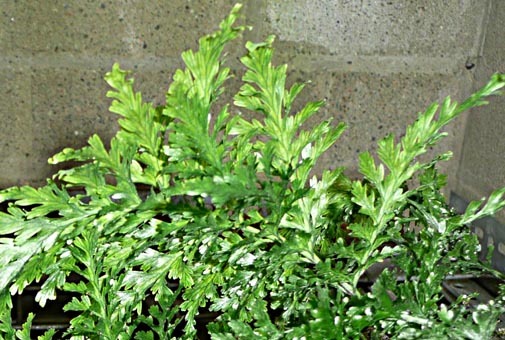 The moving and preservation of the ferns has been carried out under the guidance of the Northern Ireland Environment Agency and fern experts from other botanic gardens. 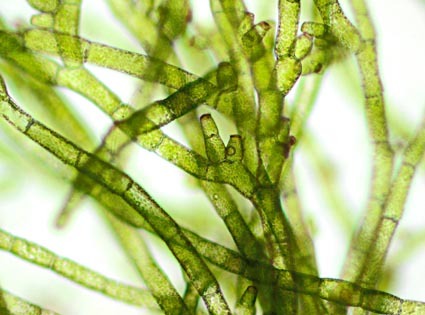 At present the plants, both sporophytes and gametophytes, are thriving in a specially prepared cool, moist, environment. When conditions in the restored ravine are deemed suitable they will be returned.